This home is a true gem! Enjoy this popular ''Nice'' plan with spacious loft, additional bedroom and bath. As an added bonus this home even offers the Shea Zero Solar package that is pre-paid by the builder. Over $175,000 in custom options can be found in this beautiful home. Step inside to warm and neutral colors, custom tile-work and shutters throughout. The gourmet kitchen is a chef's dream with stainless steel appliances, custom back splash and plenty of cabinet space. Step out back past the rolling wall of glass to a private backyard with gas fireplace, built-in grill and low maintenance landscaping. The upstairs loft area creates a wonderful space for guests when they arrive with private bath and bedroom. 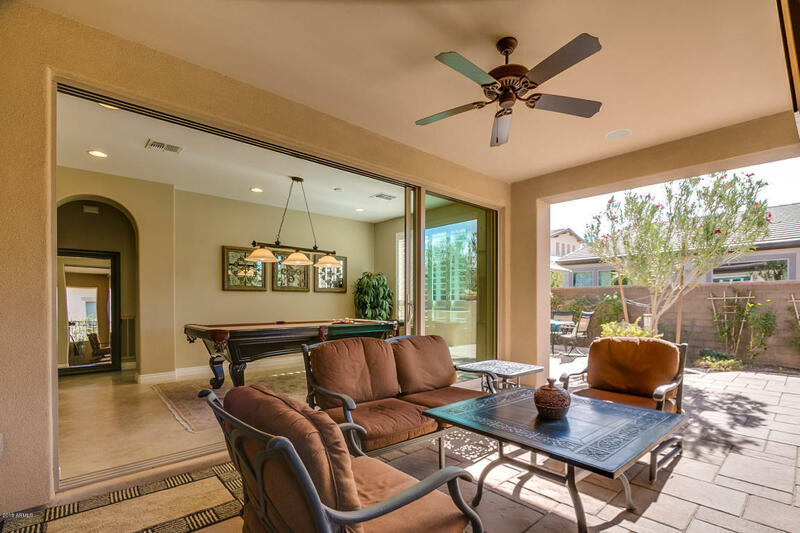 Come see this home and Encanterra's resort-style lifestyle today!! !